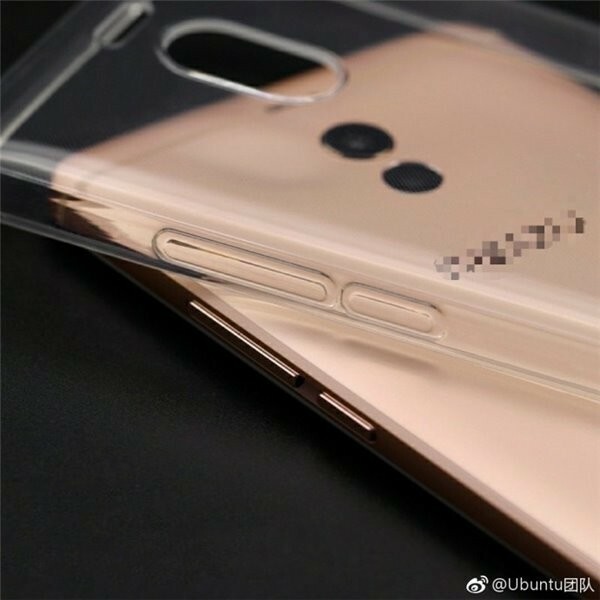 A handful of new images for the upcoming Meizu M6 Note have leaked, offering a closer and clearer look at the handset's back as well as bottom. The leak re-confirms vertically-aligned dual camera setup with a quartet of LEDs above it. The design revealed by these newly-leaked photos is inline with some of the recent leaks. 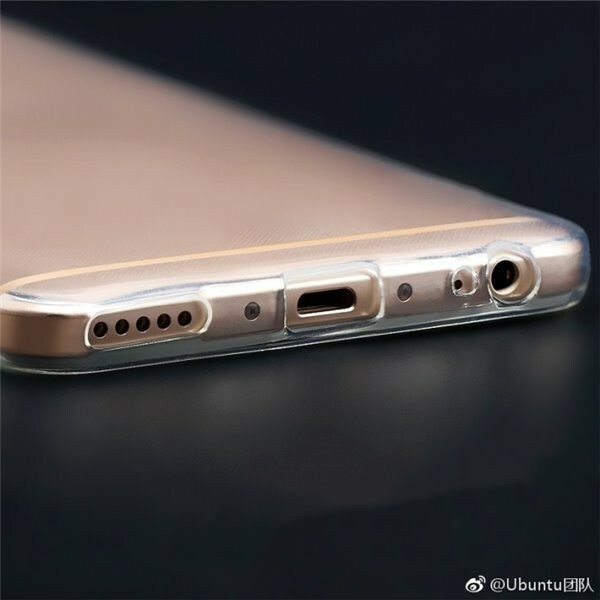 The image that focuses on the bottom reveals the speaker grille, USB connector, and headphones jack. 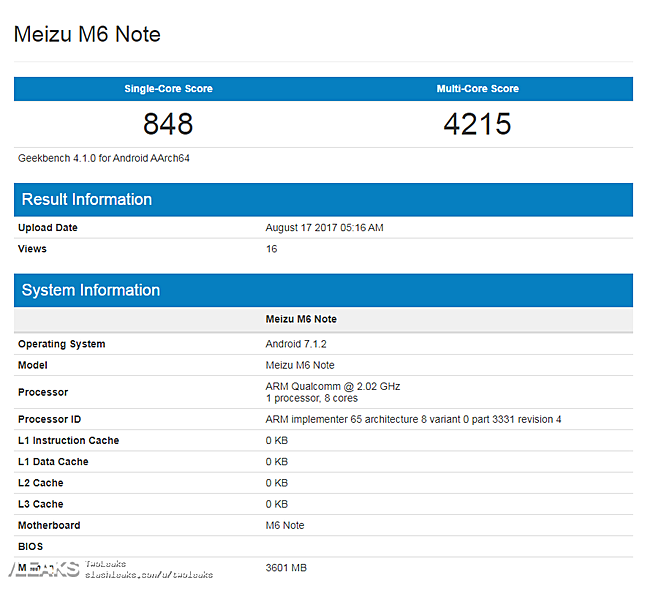 Meanwhile, The 4GB variant of the device showed up on Geekbench website, revealing that it's powered by a Qualcomm Snapdragon SoC with a 2GHz octa-core CPU (likely Snapdragon 625). So far, rumors and leaks had suggested Helios P25 as the chipset powering the handset. The listing also reveals Android 7.1.2 Nougat OS. 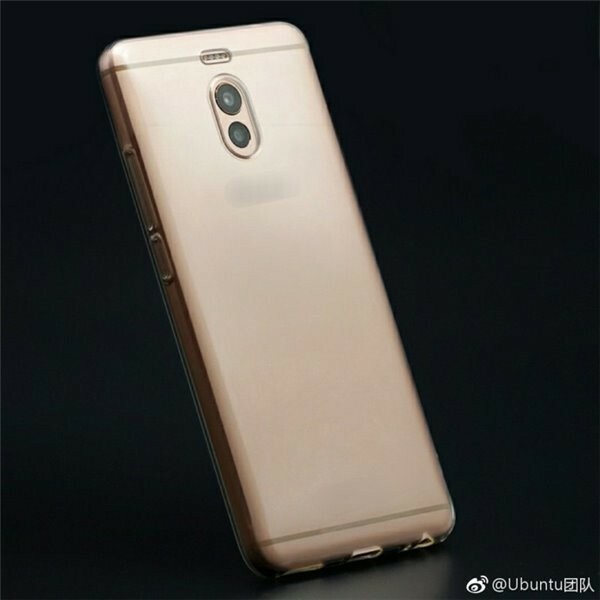 Other rumored specs for the M6 Note include a 5.5-inch Full HD display, and a 4,000mAh battery. Memory configuration options are said to be 3GB/32GB and 4GB/64GB. The phone is set to be made official on August 23. I can't find hardware information in MEIZU M6 NOTE device. There are only version information. I want to see RAM, Camera and other specification in setting, is it possible? It looks promising!!! Cant wait to see what Meizu has to offer!! !